The era of French – Mex cooking is now! This is where I do most of my shopping. Paris has Monoprix, which pretty much stays in big cities. The countryside has a whole raft of options — Intermarché, HyperU, a bunch of them, all pretty similar. 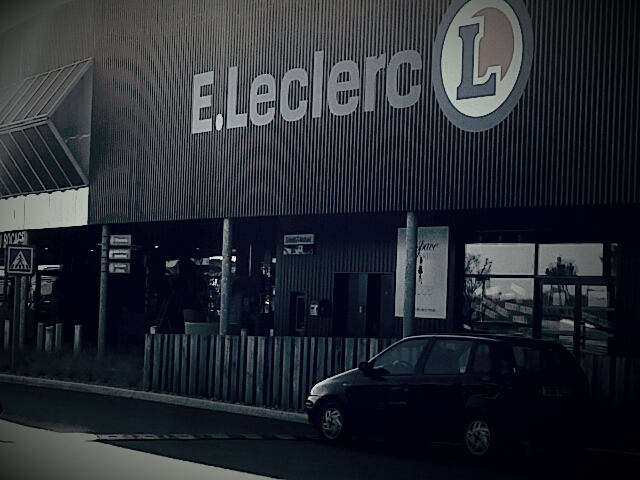 I go to Leclerc because it’s new and because of all the cheesy cafes that most of them have, Leclerc’s is the least bad. These used to be big supermarkets. Now, though, they have gotten into draining the life of the city centers in a big way and are using the market as an anchor tenant, renting out space to pharmacies, laundries, all kinds of things. They add their own areas to sell clothes, housewares, appliances, so basically you are looking at a minimall. I’d love to go into a rant about these evil city – killers but the French make that so difficult. When I finished my shopping at Leclerc I went into town and left empty – handed. You see, it was midday on Monday. The shops were closed because they do that for lunch and also on Mondays. Double whammy. I’ll have to change my watch battery another day. Or maybe there is a watch guy at Leclerc. After all, look what I can get there! 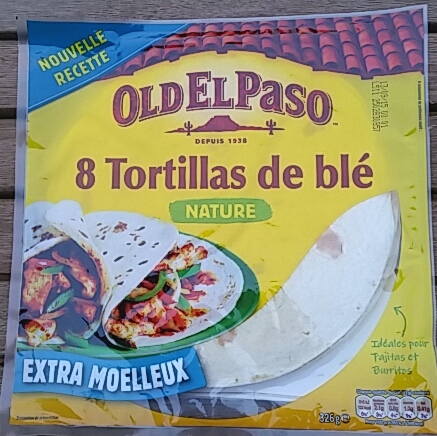 I don’t want to think about what Old El Paso does to a tortilla to get it to last more than a day. I’m just going to wrap one around the poulet fermier I just roasted, maybe add some grated comté cheese and enjoy. I try to share out my custom – and avoid these huge supermarkets as much as I can. I get my fruit, veg, honey, olives, nuts, and sometimes cheese come from the local market, meat from the local butcher, bread from the local bakery as much as possible. The remaining “staples” come from supermarkets, but I tend to shop around (I guess that makes me the consumer equivalent of a loose woman). What I particularly dislike about them is the temptation to buy so much more than you need. Yeah. Tomorrow is market day, so I was going to run over there, take a snapshot, shop and do another post about this. The sneak preview is that I have more local providers in Paris than I have out here. Those gorgeous produce vendors on the rue Grenelle who flirt while they pick the stuff out for you and have incredible house-made soups and all? Be still, my heart. Anyway, here in the Vendée you can find local providers but you have to know where to go and carefully time your trips.